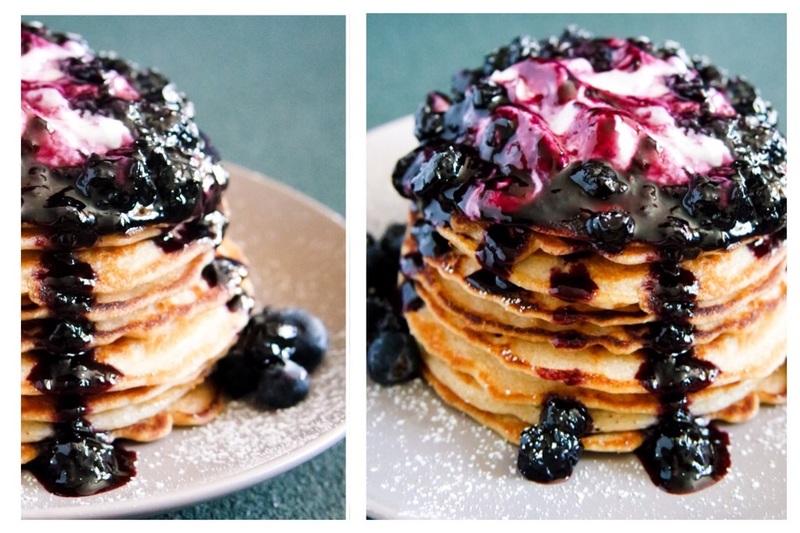 Sunday morning protein pancakes. 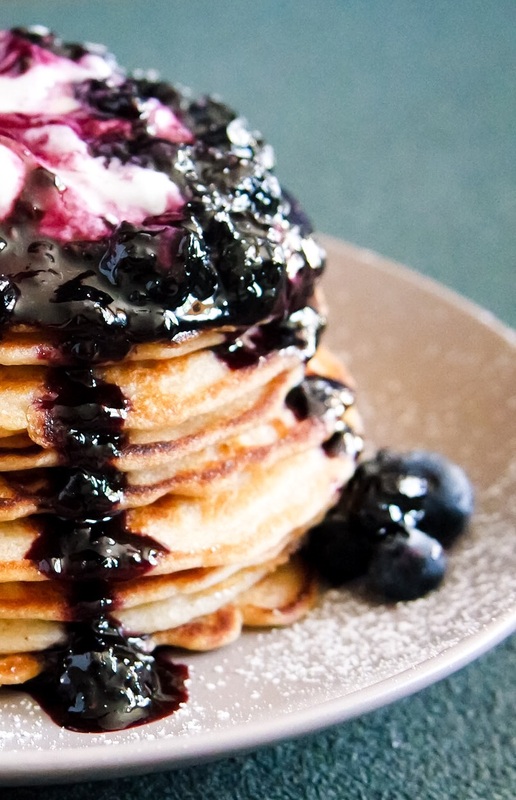 Delicious and extremely fulling these pancakes are great for lazy Sunday mornings. Especially topped with a little Greek yogurt and a homemade blueberry compote! 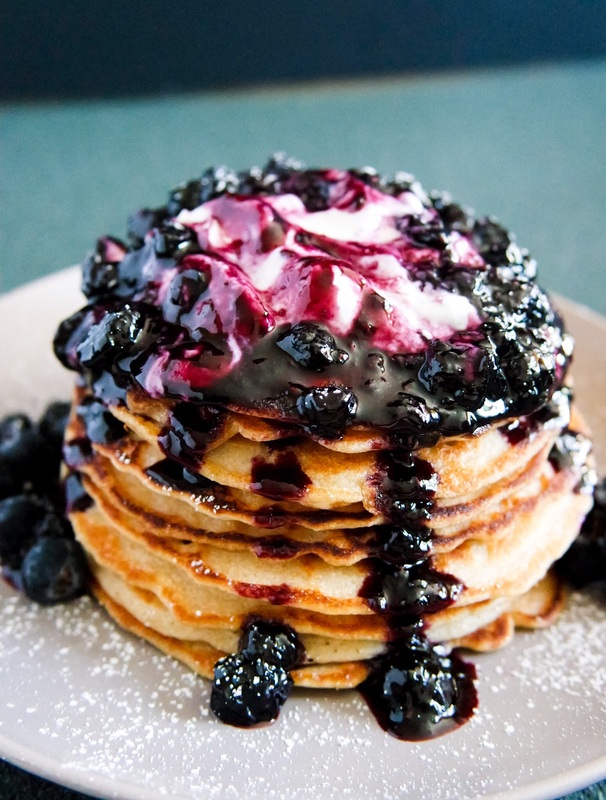 The pancakes were simple and delicious! I used the Kodak Protein Packed Pancake Mix. 1 cup water to 1 cup mix for perfectly thin medium sized pancakes! Add a handful of fresh blueberries if you want! For the blueberry compote I replaced traditional granulated sugar with honey for a healthier option! In a large bowl mix together the thawed blueberries with honey, water, and lemon. Place in a sauce pan on high heat and bring to a boil. Allow to boil for 20- 30 minutes while stirring occasionally. Reduce heat and simmer on low for an additional 15 minutes to thicken. Serve immediately. Place leftover in an air-tight container and place in the refrigerator for up to two weeks.